DLPAR error : *humpf* … what do I do ? Sometimes this problem is caused by a cloned system, which inherits older infos from the original system, and these need to be wiped clean. Is your connexion to your HMC established or broken ? 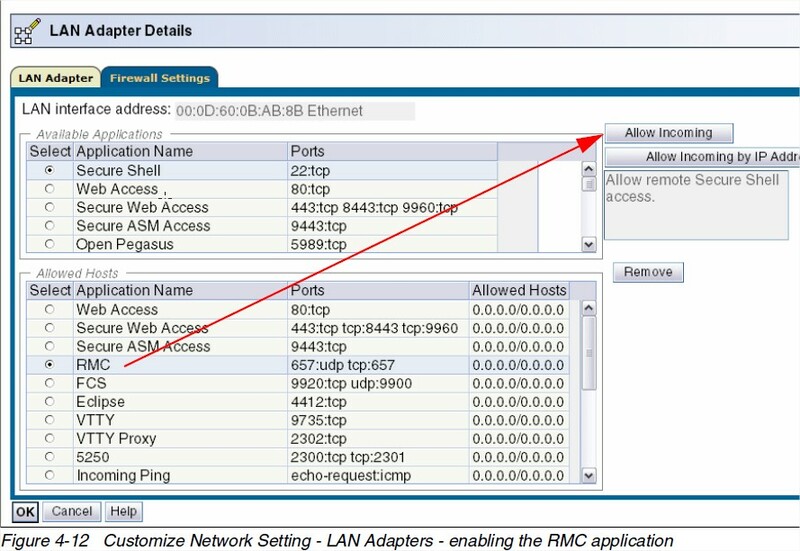 ResourceHandle = "0x6015 0xffff 0x687c66ac 0xa150cb54 0x12ac5ab4 0x3ececd4c"
If you get a similar result, then you don’t have a problem with your HMC connectivity, and you should go to the rsct-layer checks below. Are your firewall ports open ? 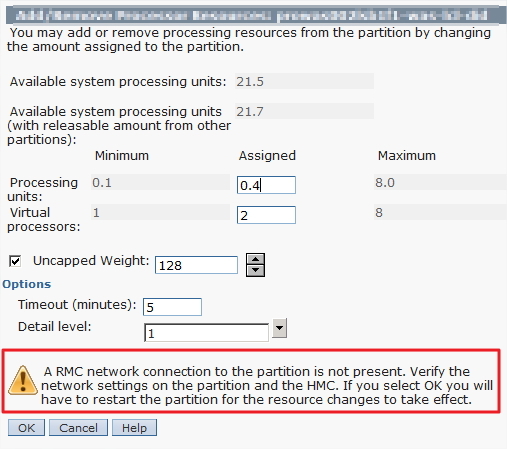 To be sure of that and isolate all the other partitions which actually may have some issues DLPAR operations, you can do it with the lspartition command. The Dcaps value have to be higher than <0x0>, otherwise we have an RMC problem. hscroot@HMC:~> lspartition -dlpar | grep -B1 "Active:"
We can see here that we have 1 faulty partition, with an lpar_id=17 (Sadly we can’t have the lpar_name directly with this command, you’ll have to cross-check with a lssyscfg command, for example). hscroot@HMC:~>  lspartition -dlpar | grep -A1 "17\*"
Now we gotta fix the problem, what are the options ? Just joking 😀 , I’m not a big fan of the reboot option… it may fix the wrong connectivity problem (with Dcaps=<0x0>), but you’ll never know why… quite disturbing from my point of view), but well, if you’re in a rush… You might want to give it a try anyway. Extra problem : It still doesn’t work !! !